Godrej Windsor will have Offers 2 BHK, 3 BHK and 4 BHK Affordable to everyone’s need and requirement. If the buyer wants to have a comfy place for a small family they can go for 2 BHK options, which will allow them to have space for themselves Wrap with compromising on amenities and Appearance of the projects. Each of this 2 BHK is designed by keeping space and comfort as the preference. For bigger family, 3BHK will be Convenient. Each family members can have space for their own at the same time, they can stay together can close. 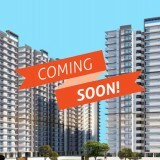 The 3 BHK is designed by keeping in mind about open & free space. Flats will be best on Cross ventilation and with your personal balcony, will be your favorite corner for morning teas and evening snacks. Godrej Windsor offers 4 BHK leisure apartments. In Godrej Windsor One can do an office party or a family get together, you will never run out of space. How can we Neglect your Dears & relatives, who will be in the city to spend time with you, you will have an extra room for them. Lastly, for the bonus, the property will also feature Brood. For those who like to stand out of the herd and want to have an extra luxury, these broods will be the best. The high rises with Best view will add those extra stars above 5 stars to your life.